Would you like to know what goes behind the scenes of the exciting annual National Day Parades? PassportChop.com had the opportunity to check out what goes on in the backstage of our annual national celebration. 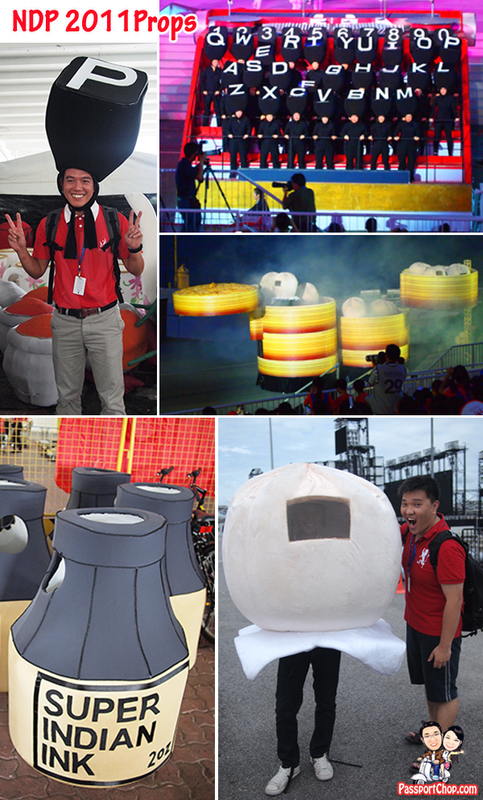 To depict local customs and various facets of Singapore daily life, the creative National Day Parade team had developed easy to use and easily identifiable props and costumes such as what you see below – typewriter hats where the typing of the keypads are simulated by the performer standing up and down and even bun costumes which can dance around! Some of the most interesting costumes would perhaps be at Act Three of the show segment: Growing Up. This Act portrays Singapore’s community spirit and racial harmony. Here students from various secondary schools are dressed up in costumes that looked like sea creatures – crab, stingrays. Innovative props e.g. battery-powered lighted umbrellas are used to simulate jellyfishes. Check out the following video for a quick preview of the behind the scenes of the National Day Parade from the exciting Dynamic Defence Display where brave soldiers from the Guards unit rappel down the Cube. Also check out the refreshments available free of charge to all performers and participants – thanks to the generous sponsorship of Milo, Mr Bean and Old Chang Kee. 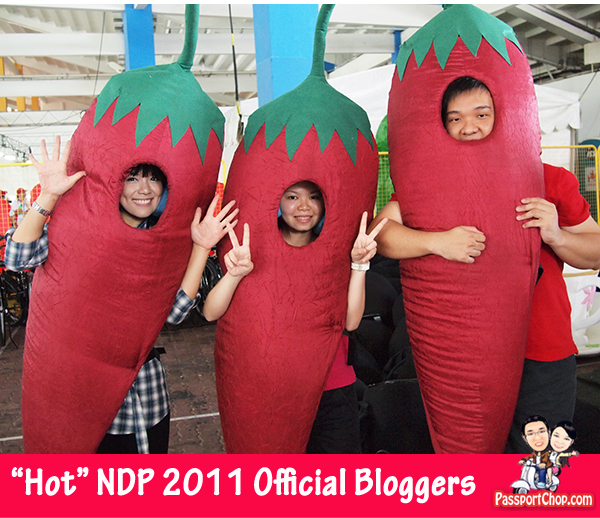 PassportChop.com is a blogger for the Singapore National Day Parade 2011 social media campaign. These parades look like a lot of fun! Very similar to Mardi Gras! looks﻿ awesome:) and have a great fun.. Hot damn, looking useful buddy. what did you use to make the typewriter costumes?